Chain rating system: We have to change the rating system up for chain restaurants because you cannot apply some factors to an entire chain. 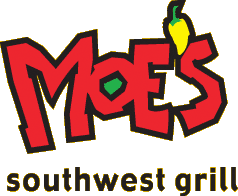 We cannot rate the service of the restaurant because it may not apply to other Moe’s restaurants. We also cannot rate the atmosphere of the restaurant for the same reason. Chain restaurants differ in their physical and psychological makeup. We can rate the ingredients, variety, price and portions because these factors are universal. We will also start to reward extra credit to any restaurant or establishment if we find they earn it. Variety: 8/10-Moe’s has a limited variety on their menu. They offer a small variety of burritos, tacos, quesadillas, nachos, salads, fajitas and rice bowls. But what Moe’s lacks in variety they make up for in their ingredients. You can customize these menu items with seemingly numerous combinations. Your ability to customize distracts from Moe’s small menu items. Portions: 7/10-You would think that bigger prices mean bigger portions, but, not at Moe’s. If you order a small taco, you can barely fit the ingredients inside. This limits the costumer from fully taking advantage of their customization privileges. If you wanted to fill your taco with all the ingredients listed above, they would overflow onto your plate. I found this happened with my taco. Extra Credit: +3-We reward Moe’s with a few extra credit points for the customization style. They distinguish themselves from other Tex-Mex restaurants by allowing customers this level of choice. In a nutshell: 33/40-Moe’s scores a solid B. We recommend you visit Moe’s for their unique style and admirable selection of ingredients. Just be prepared to spend a little more than you’d expect to at a fast food restaurant. Moe’s Grill is the best. Love it.